GMP’s response to the ‘Anti-Semitic Incidents’ report, which was released by the Community Security Trust on Thursday 4 February 2016. “Our figures show that there has been a rise in the reporting of anti-Semitic hate crimes across Greater Manchester over the past year, with 178 reported crimes being reported – an 18 per cent increase on last year. “A significant factor in this is the increased awareness of these kind of offences and increased confidence from victims when they come forward, we will take every single report seriously. As a result, we have seen a rise in reports of all strands of hate crime across Greater Manchester and, out of all of the strands anti-Semitic related incidents have seen the third lowest rise. “Hate crime makes the UK a poorer society by spreading fear and causing division where we need unity. Alongside partners like the Community Safety Trust, the police are committed to supporting victims, bringing offenders to justice and tackling the root causes. “We work closely with partners here in Greater Manchester as well as across the country, meeting with CST every month to ensure that we are doing all that we can to stop incidents of this nature occurring altogether and encourage victims to come forward. 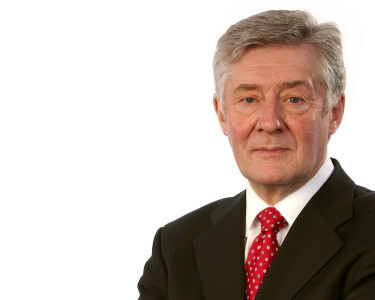 Greater Manchester’s Mayor and Police and Crime Commissioner Tony Lloyd has called on communities to challenge hate crime as a report into anti-Semitic incidents is published. The Community Security Trust (CST) has published its yearly report into reported incidents against the Jewish community across the UK. There has been a 22% drop in incidents reported to the CST last year compared to the record high reported in 2014, although 2015 still saw the third highest number of incidents recorded by the CST. In Greater Manchester, there were 226 incidents compared to 309 the year before. Tony Lioyd said: “While it is good news that there has been drop in reported incidents, the number of anti-Semitic incidents is still unacceptably high. “We have come a long way in Greater Manchester, with police, councils and other organisations working with local people to challenge hate crime and encourage reporting. The work of the CST, in particular, is vital in helping to build confidence within the Jewish community that the police take reports of hate crime seriously. “However, as this report highlights, we still have a way to go in building a society where we can all go about business without fear of prejudice and violence. “The nature of some of these incidents – violent assaults and reports of young people verbally abusing Jewish people – is concerning and shows that we need to do more to educate our younger generation that it can never be acceptable to target someone because of who they are. “There is a commitment from GMP that hate crime can never be tolerated and that’s why it is a priority in the Police and Crime Plan and a priority for the Chief Constable.